This little project has certainly turned into quite a labour of love. My, I’m glad that the concept of Home Truths popped into my conscious. I’ve found that it’s not only put me in touch with a range of local property enthusiasts I heretofore had no knowledge of – it’s also taken me on a few exciting adventures! So we come to Home Truths Ten. An edition that features a little snacking, a little auctioning and a lot of stickybeaking. I love it, and i’m sure so do you. Hang on tight! Vibe: Enchanted by the idea of bright, garish colors that warm you from the inside out, I decide to channel something that’s a little 80’s and a little delicate. 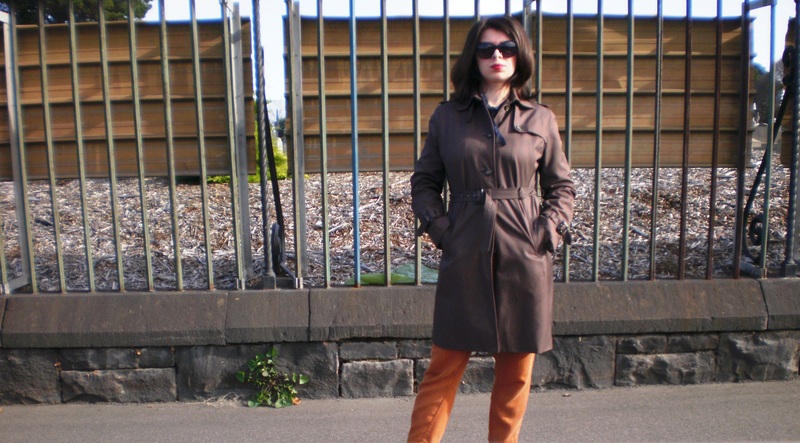 There’s nothing like being very orange on a grey day to warm the proverbial cockles. Wearing: Arabella Ramsay ‘The Alice’ Collection dress – inspired by the colours of Alice Springs. Vintage Lithuanian modernist ring carried across the Russian Steppes by my great-great Grandmother. Check out great-great-great-Grandfather – the man’s got a Wikipedia site! 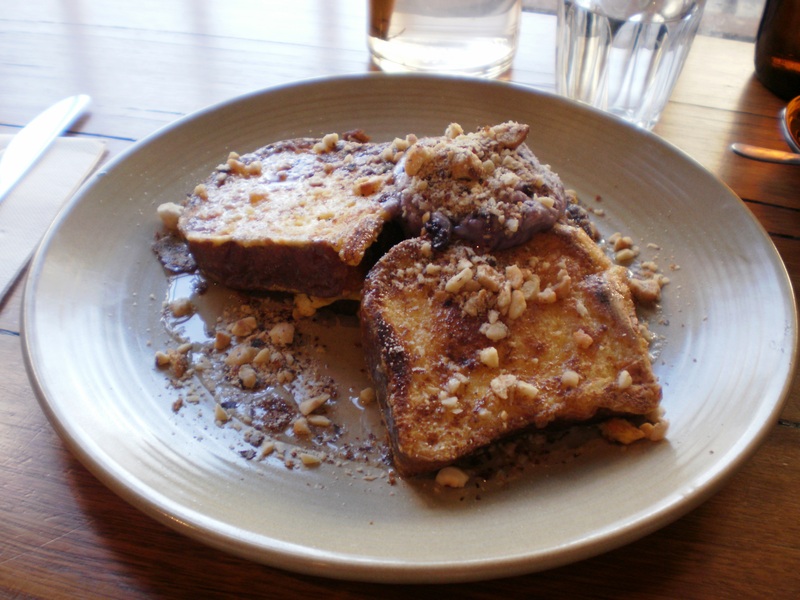 This was actually Home Truths second visit to the beautiful and friendly Pope Joan – we reviewed it way back in Home Truths One where we nommed on ginger bread toast with maple butter. I yearned to try a couple of different items and so attended with a good friend and bargained with them until I could taste theirs too. 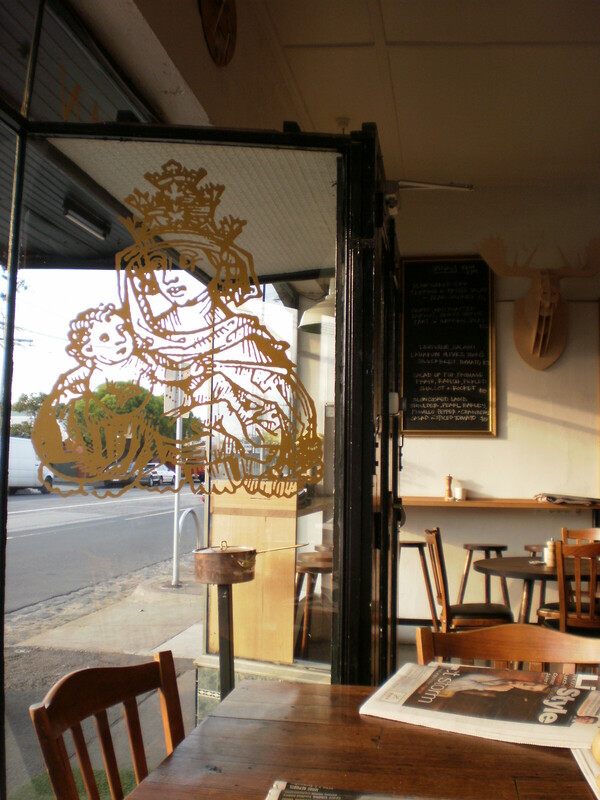 Pope Joan is a wonderfully convivial kind of joint – it’s also got a top notch outdoor area with garden beds and lots of room for kids to fall over and play comfortably. So.. onto the treats at hand. 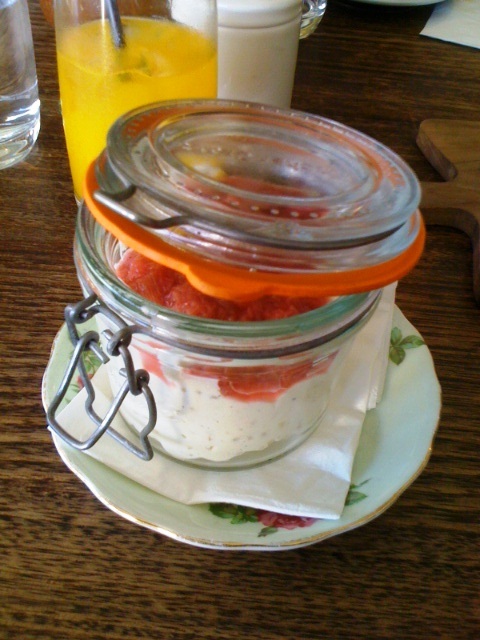 Presentation of food is highly prized at Pope Joan – look at this creamy vanilla rice pudding with rhubarb topping in its own little preserves jar. 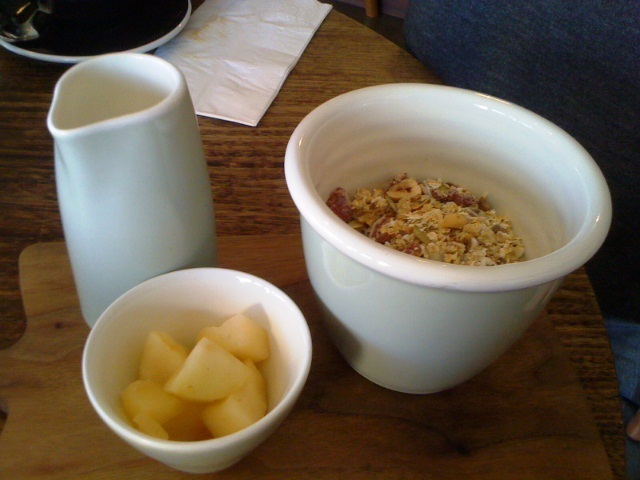 Check out the free-form bircher muesli with yogurt, home-made muesli mix and fruit presented separately. 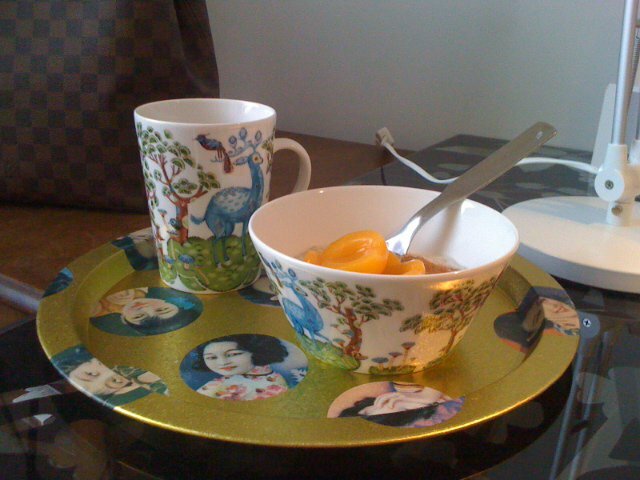 Talk about bespoke breakfasting! 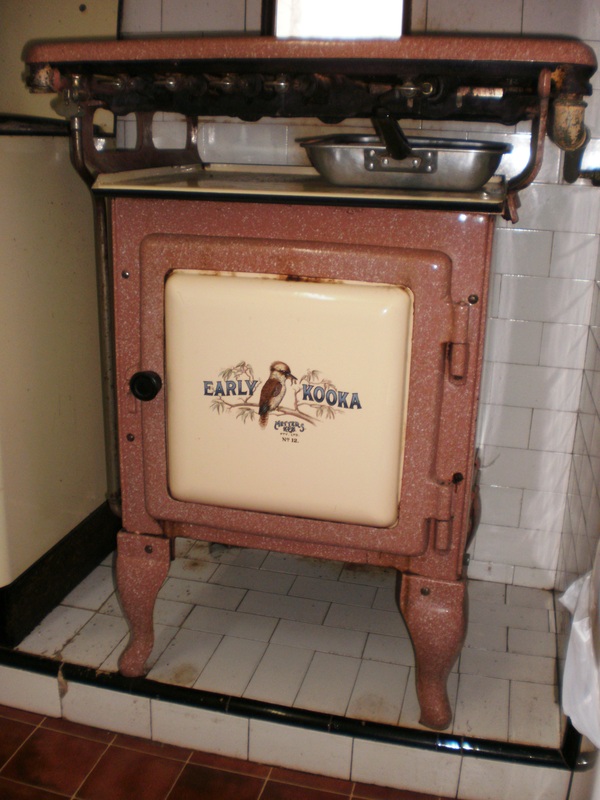 I really love the porcelains they use – reminiscent of Mud Australia designs. So yes. 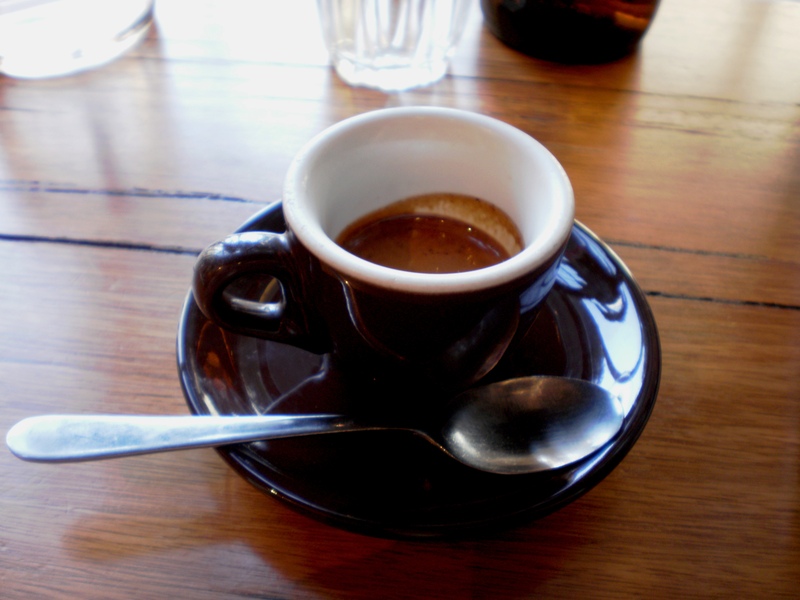 Please go and enjoy at Pope Joan before attending your next open for inspection in Brunswick East and surrounds. Kids seem very welcome too! 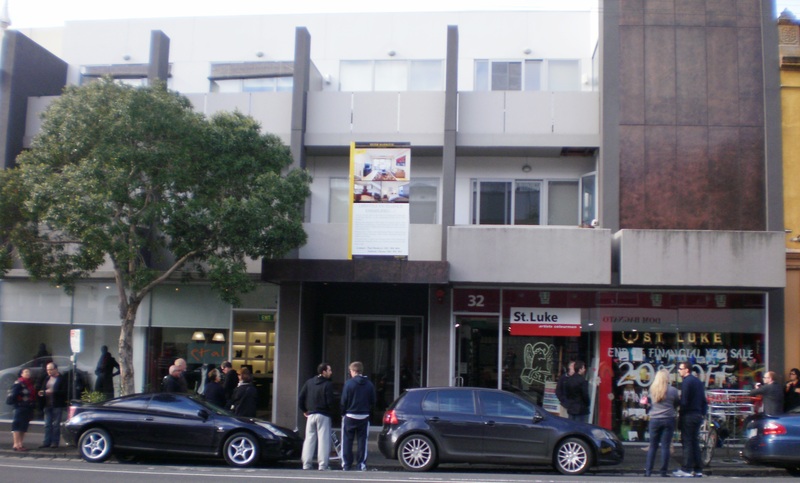 Punters: Very few buyers around, a couple of young men. 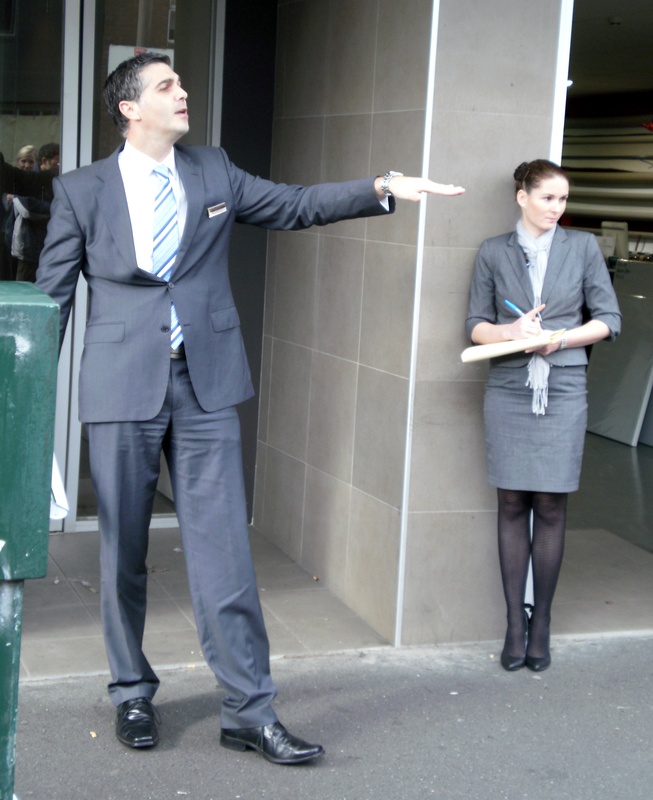 In fact there were not enough buyers at the property for the agent to conduct the auction. 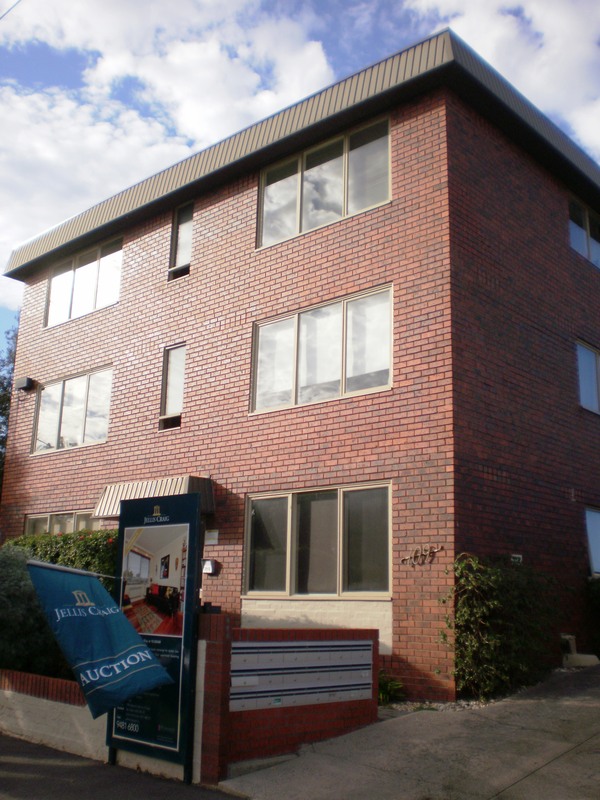 Hometruths Melbourne understand a prior offer had been made on the property which was not accepted. Review: This is a neatly maintained block which had been fully re-furbed by a single developer a few years ago. 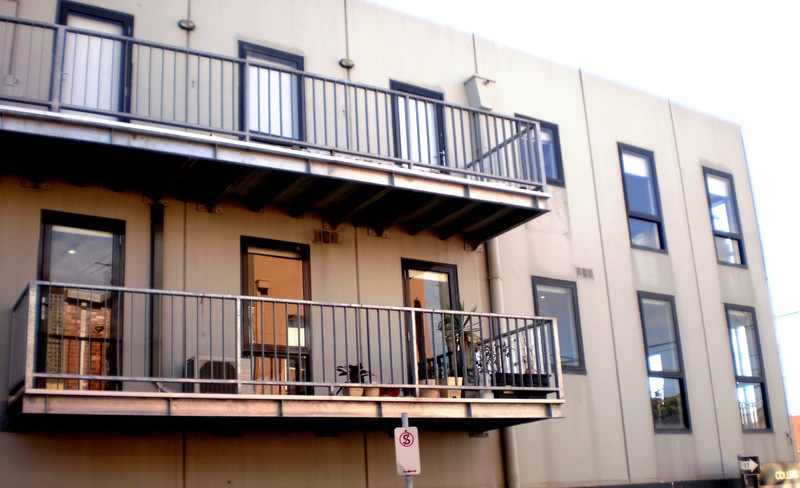 One of only 12 units, this two bedroom unit was elevated, quite bright and also had a modern kitchen and bathroom. It was priced relatively competitively with an asking price of mid $400’s. 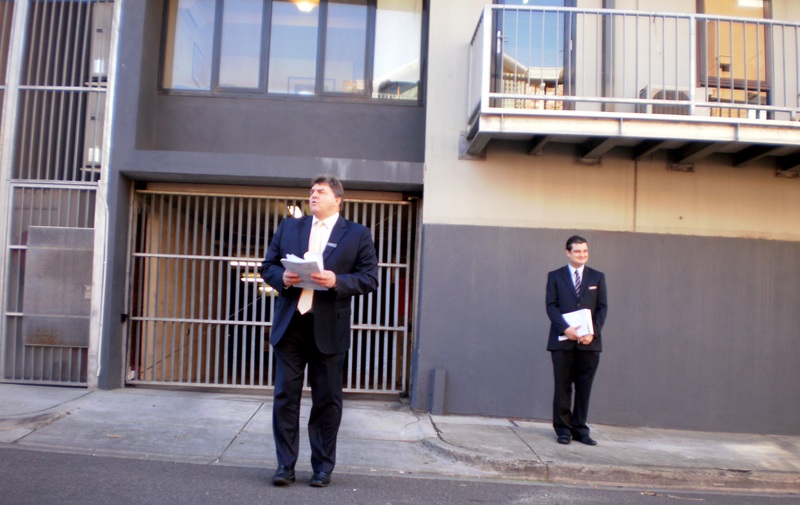 I was quite surprised at how few people were there to attend the auction – and I think that many first home buyers are sitting on their hands at a time when they should be jumping at apartments like these. 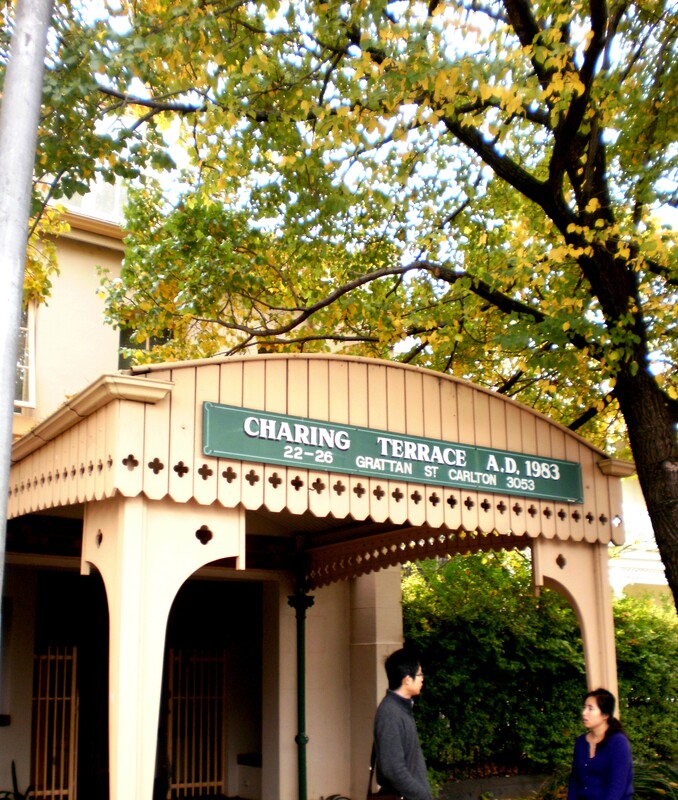 Two big bedrooms, small block – carpark on title. A winner. 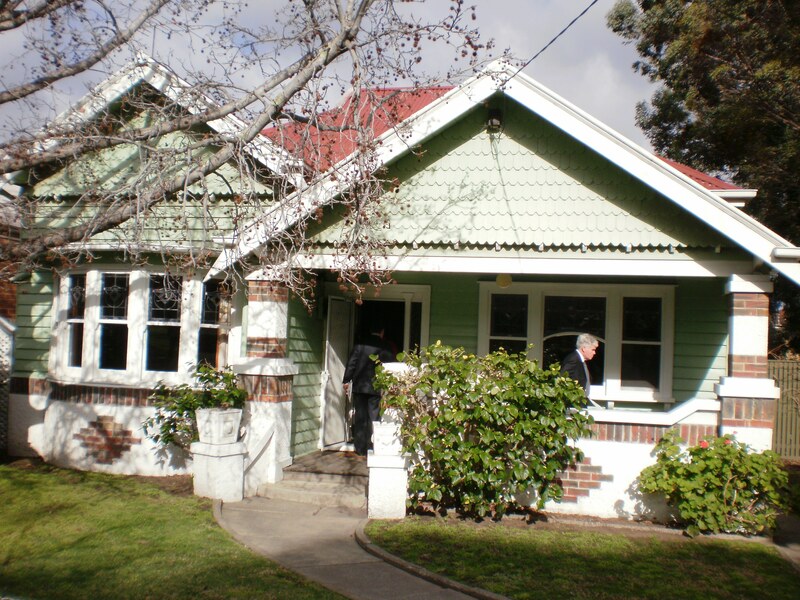 The property is currently still available and on the market – P.O.A. I told you this Home Truths would be full of wild adventure, just like Johnny Depp and Penelope Cruz in Pirates of the Caribbean 4. 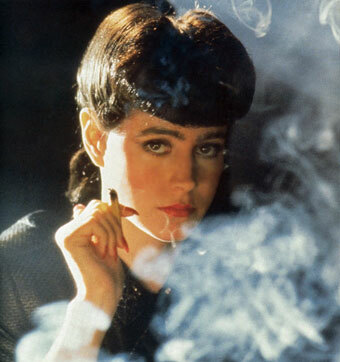 It’s not strictly real estate, but I’m sure you’ll go with me. 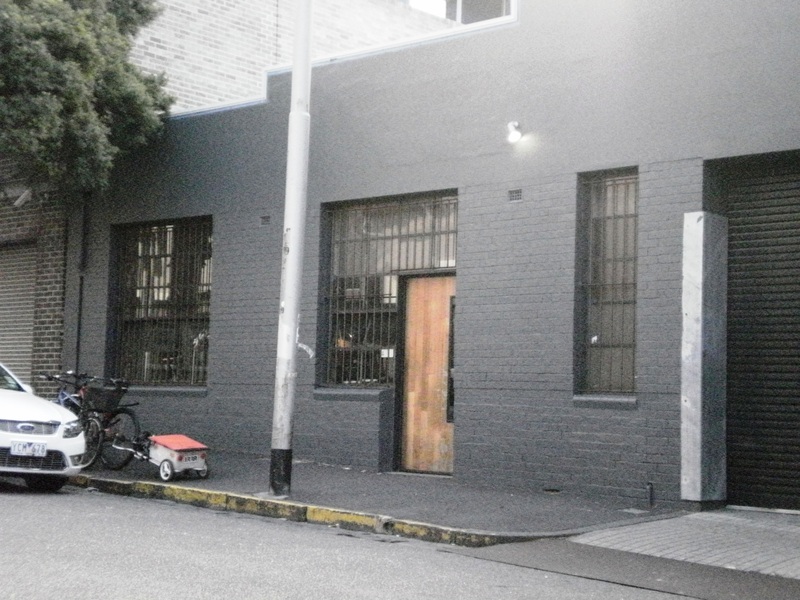 As I waited outside 884 Lygon Street for the verdict on whether or not an auction would be held, I noticed a kindly-faced man scratching around with the bins outside the Societa Isole Eolie. 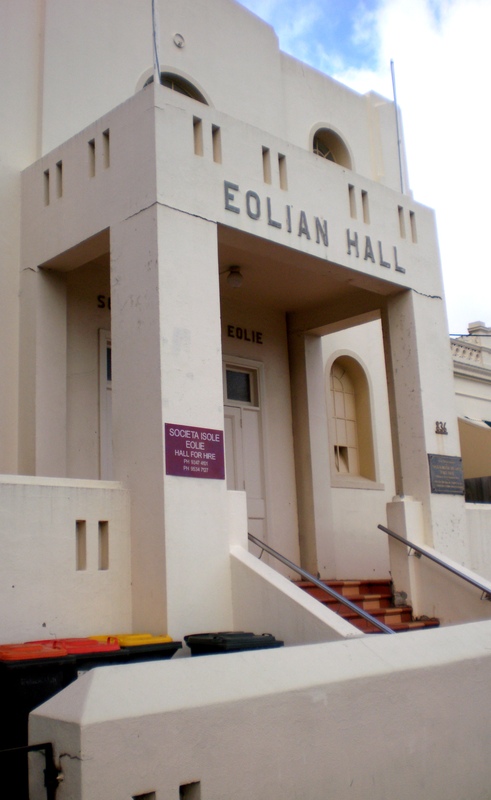 The Eolian Hall on Lygon Street is a beautiful art deco building which stands out due to its soft bone colour and distinctive architectural features. 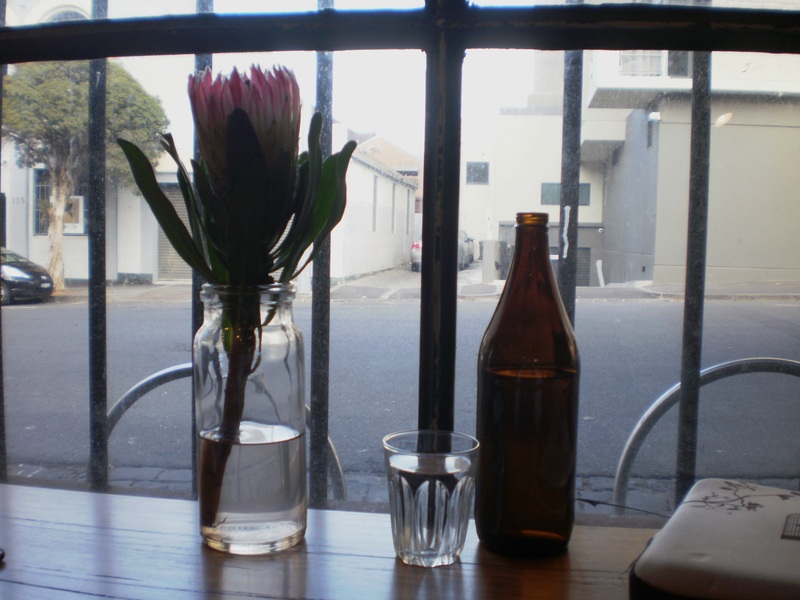 A bit like the Abruzzo Club, it’s an invite-only joint where you must be Eolian (Sicilian Italians, hailing from a series of verdant small islands) or married to one. Formerly the Jewish Kadimah, the club was purchased by by Societa Isole Eolie in the 1930’s. 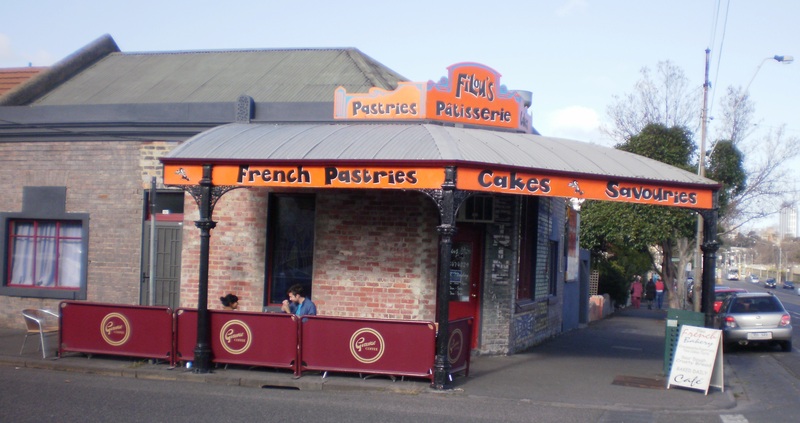 In classic Home Truths Melbourne style, I started up a conversation with Joe Biviano outside the Eolian Hall who told me that he and his wife Julia were holding an evening function that day – did I wish to come in and look around? Did I ever! 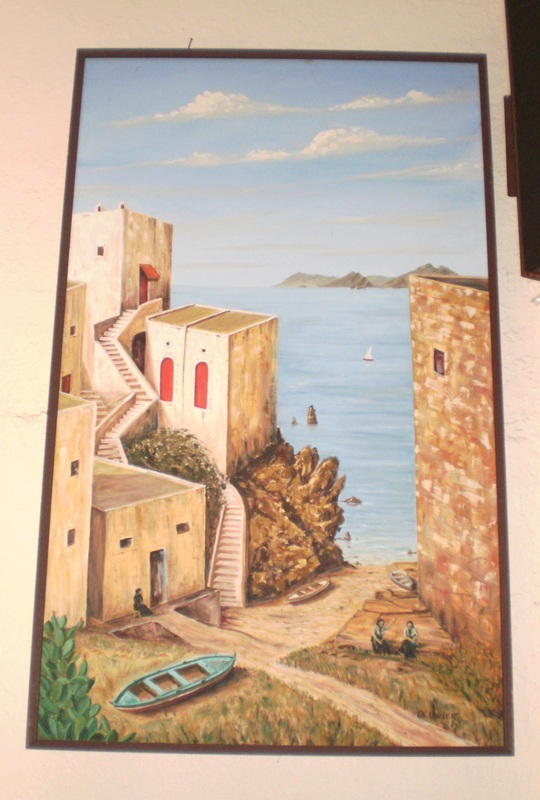 Joe very kindly showed me around the body of the hall, and explained to me that the Eolian Islands consisted of small communities that were fisherman, or farmers who grew olives, figs and grapes. Lipari is the main island (there are six in total), and it’s where Joe and Julia hail from. Although blurry, you can still see in this photo Aeolos (the god of wind) and Vulcano (the god of fire) who are said to overlook the islands. I was very impressed by this information, explained with great pride by Joe. 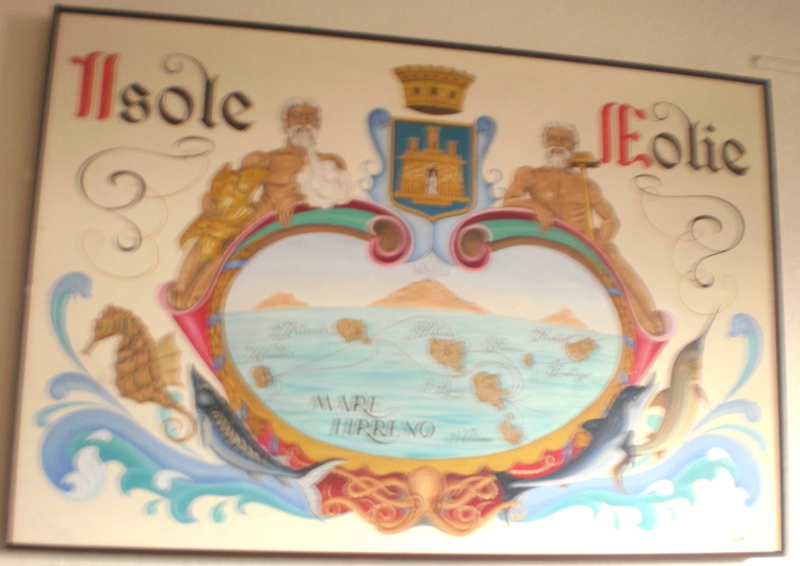 One of the paintings inside the main hall of the Societa Isole Eolia. Look at the quiet two sitting on the log in the bottom right hand corner. Joe told me that living in the Eolian Islands were quite different to living in mainland Sicily – because the community on the islands were so small, everyone knew everyone. 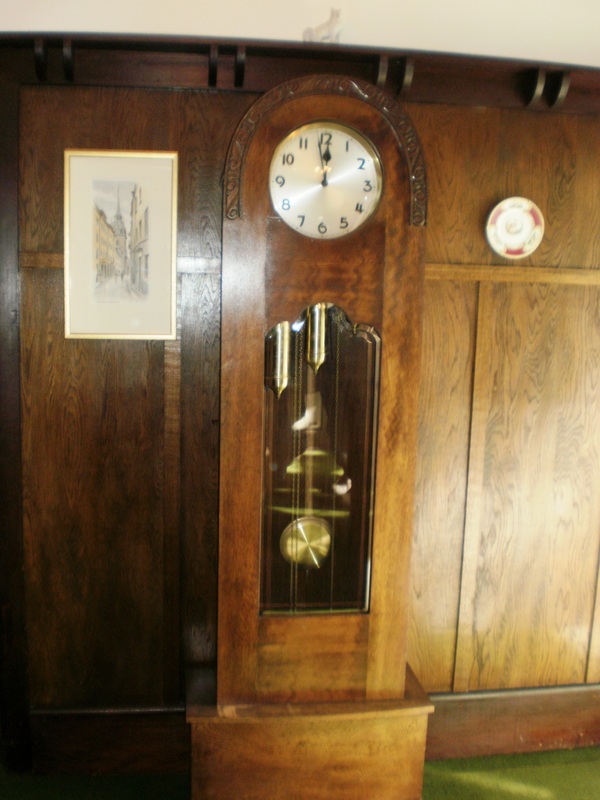 It’s obviously a great joy for Joe and other members of the club to keep their traditions going – each November and December there are grand festivities at the hall. Upstairs there is the original meeting room, with lots of photos of the founding members. Cluttered, but full of happy memories too. These are the two main founders of the Societa – looking at them looking out at me was like a swift journey back in time. I’m sure they stood in the Eolian Hall where I had, and knew Carlton as I never can. I like the happy look on Mr. B Canestra on the right. 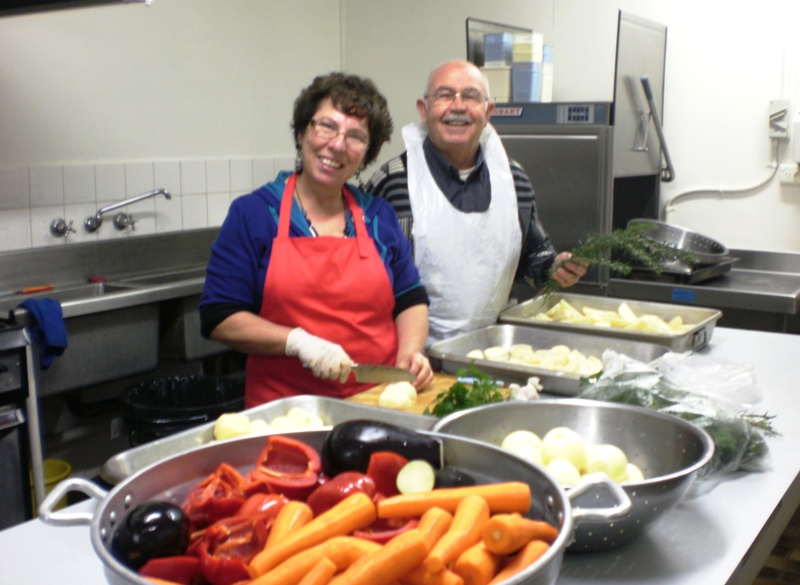 Here are Joe and Julia Biviano, in the giant kitchen at the Eolian Hall. You know, they were preparing full dinners for 80 people all by themselves! 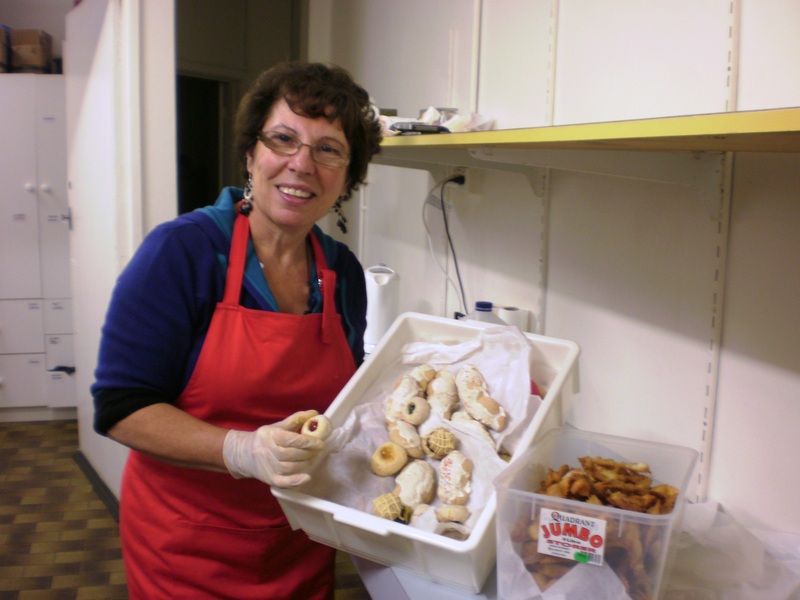 Julia sometimes can be heard on 93.1 FM talking with Matteo and sharing her traditional Eolian recipes. Julia was very sweet and told me about her family and how she came to know Joe. On the menu for that evening were: Arancini, Roast Potatoes, Roasted Red Peppers, Salads, home cured Olives (by Joe of course! ), fresh Ciabatta bread and then coffee and home-made biscotti. I was lucky enough to have one of these delicious almond meal biscuits. 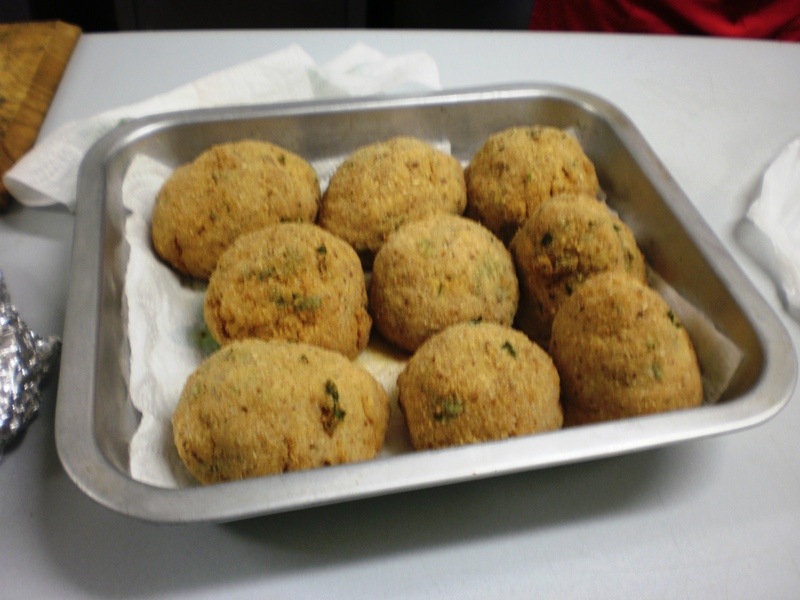 Fresh arancini, full of mozzarella and red sauce – Julia made 80 of them in her kitchen the day before. That’s dedication. Golden crostoli and an array of almond meal biscuits. All home made with obvious love. Many thanks to Joe and Julia Biviano who were so welcoming and happy to share their culture and their own personal stories. I feel very privileged to have learned about the Eolian Hall, and feel another piece of my local knowledge is in place. Aren’t you glad I shared!?! 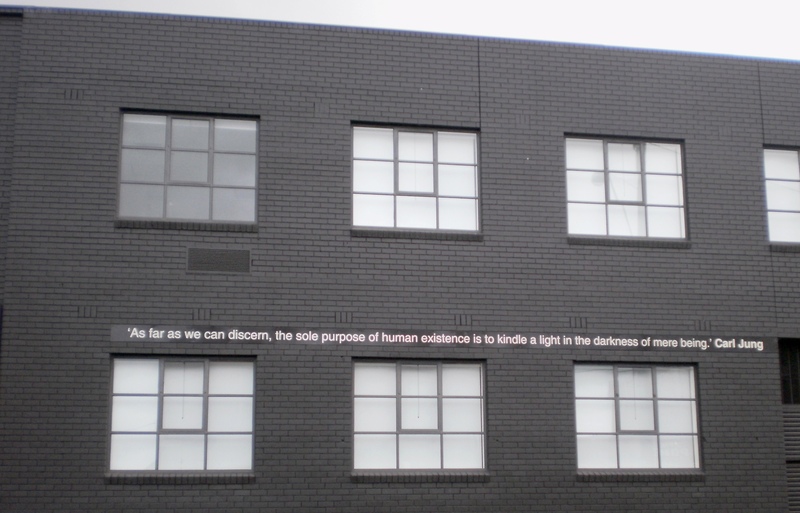 View from opposite the 32 Smith Street Collingwood development – Aesop‘s headquarters. No branding, but a Carl Jung quote. 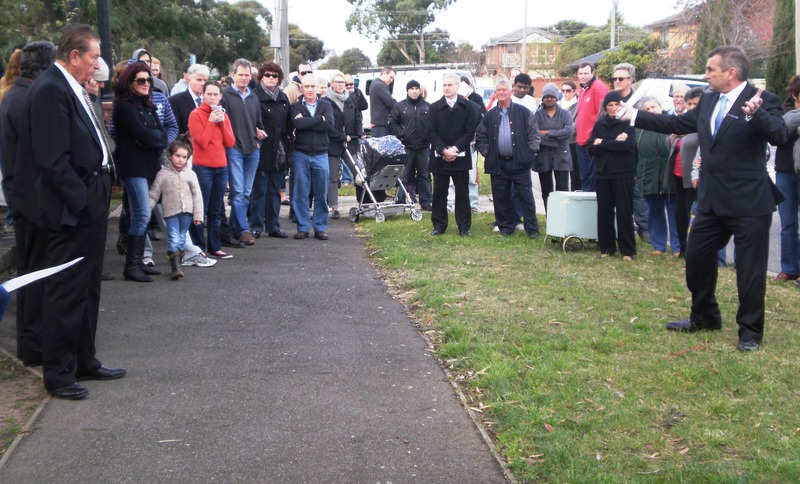 Punters: I hadn’t seen so many people at an open for inspection for quite a while! 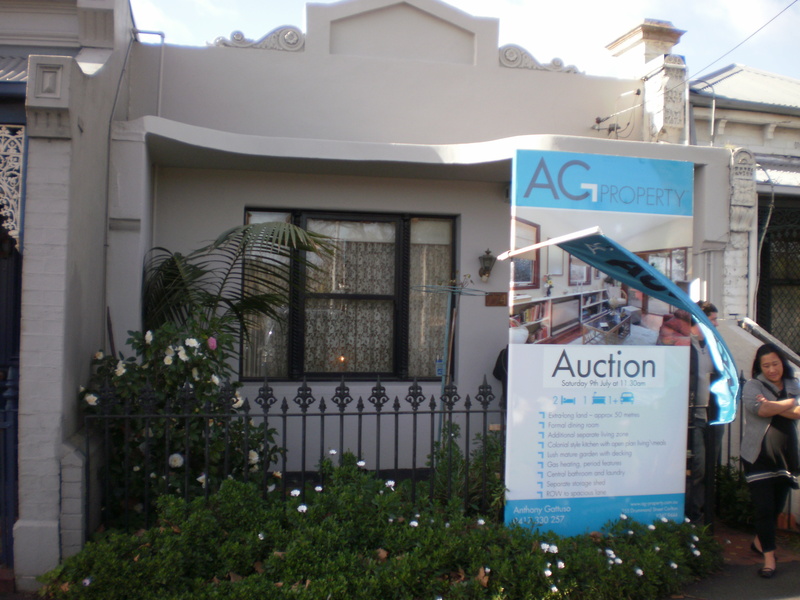 Compared to the previous auction of the day on Lygon Street, this property was pumping. I can’t say why – but I assume the quote must have been more competitive. Lots of quite grumpy looking buyers, many of them young couples who were consulting with their parents. 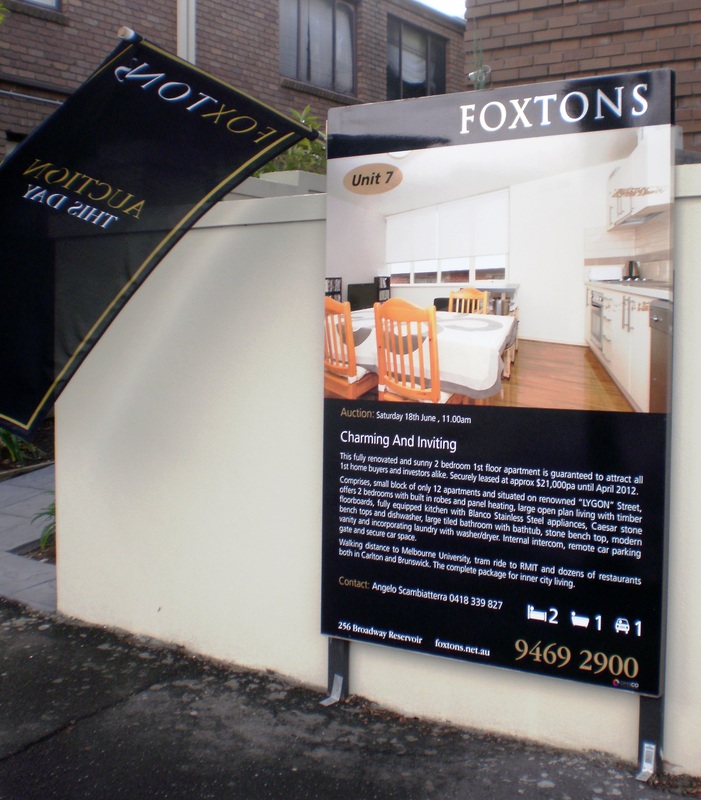 Review: The property for auction was inside a medium density low-rise development, and it was a neat and sensible two bedroom townhouse. No bells or whistles – not small – not large. Just right! A good-sized living area, and a couple of outdoor areas were definitely appealing – but the central location paired with these qualities clearly made the home irresistible. 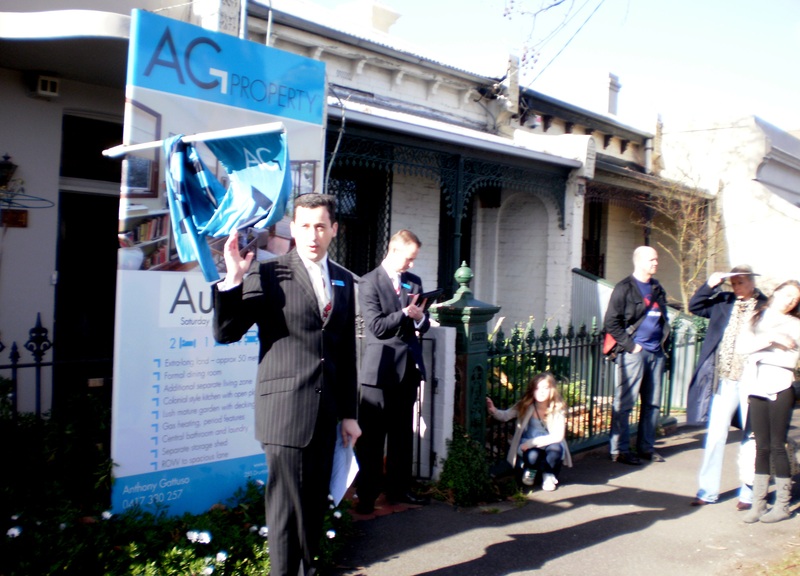 Paul Markovic was both the listing agent and auctioneer, and he did a sterling job. He spoke at some length on the rules of the auction and the contract, and touched briefly upon the market. 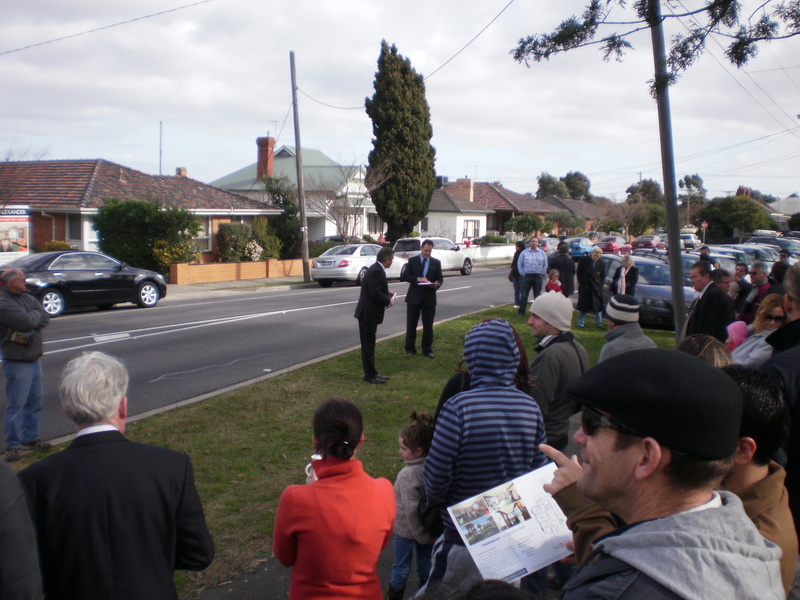 He encouraged buyers to bid earnestly, as the market would always change but the location wouldn’t. 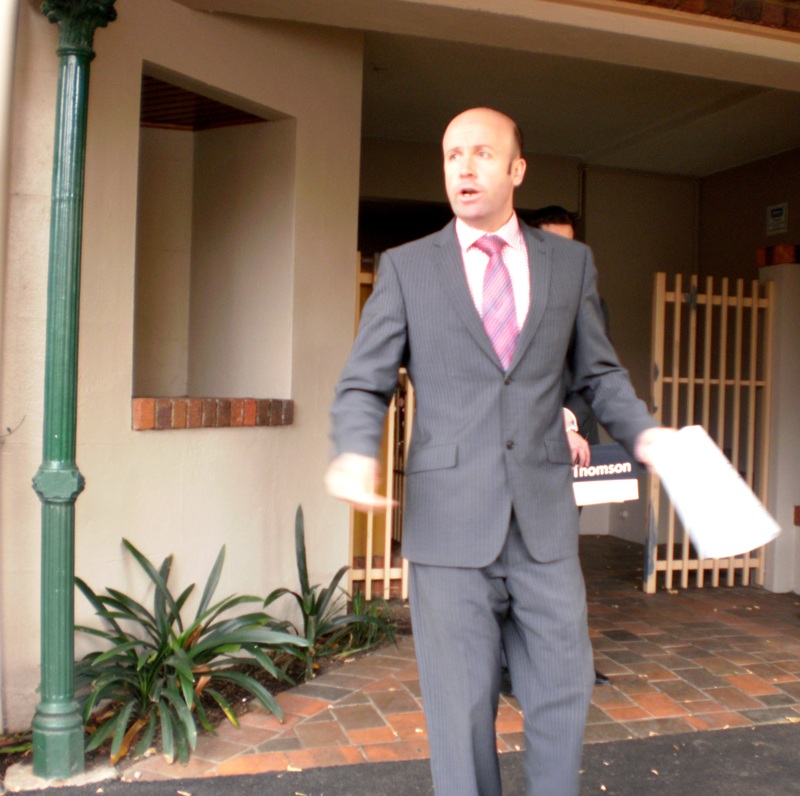 A cheeky buyer kicked off proceedings with a request to offer 450,000 which Paul kindly refused with an ‘ I like the boldness, sir!’ A vendor bid was called at 500k, and then they were off like horses at the Cup. There were at least 4 bidders I could recognise and they just kept going up, little by little. 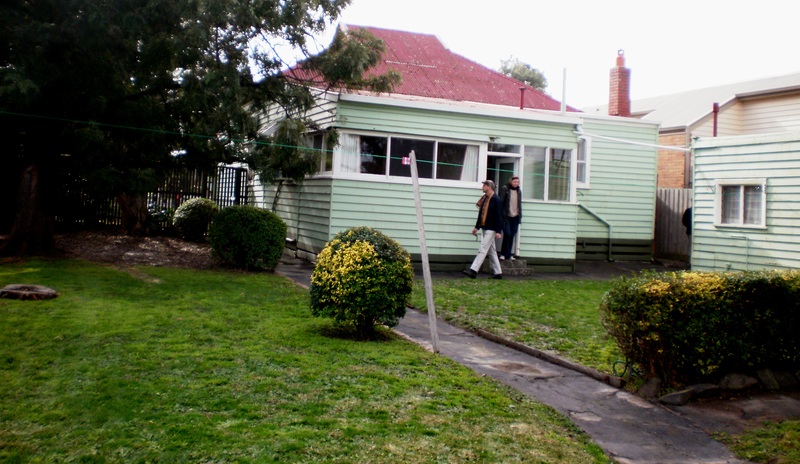 The property was eventually sold at 632,000 which seemed a very reasonable purchase price.